If your employees are currently working on the weekends, you might need to re-evaluate productivity during the working week. That, or you could be overworking your employees, which could ultimately lead to them burning out and going to work elsewhere. How do you make sure your employees are receiving the right work-life balance, and how much of this is in your control as an employer? Some employees could work on the weekend because they want to, and others might not have a choice. The two are very different. 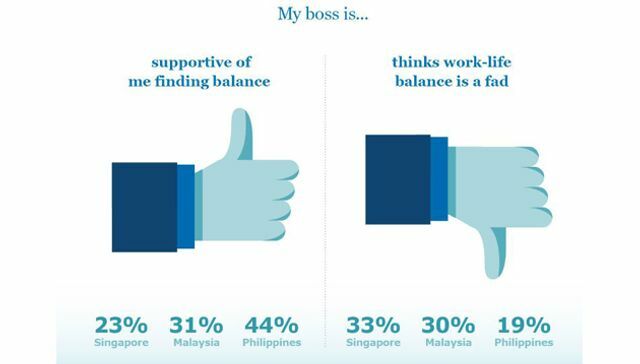 When asked what work-life balance means to them, 73% of Singaporean respondents said it means not working on weekends; 66% and 43% of respondents from Malaysia and the Philippines respectively, said so.